The State Department is closing the U.S. consular outpost in the southern Iraq city of Basra and evacuating its diplomatic staff following a series of threats and 'indirect fire' officials are blaming on militias backed by neighboring Iran. In a statement Friday. Secretary of State Mike Pompeo issued a stern warning to Iran. "The United States will hold Iran directly responsible for any harm to Americans or to our diplomatic facilities in Iraq or elsewhere and whether perpetrated by Iranian forces directly or by associated proxy militias," he said. "I have made clear that Iran should understand that the United States will respond promptly and appropriately to any such attacks." 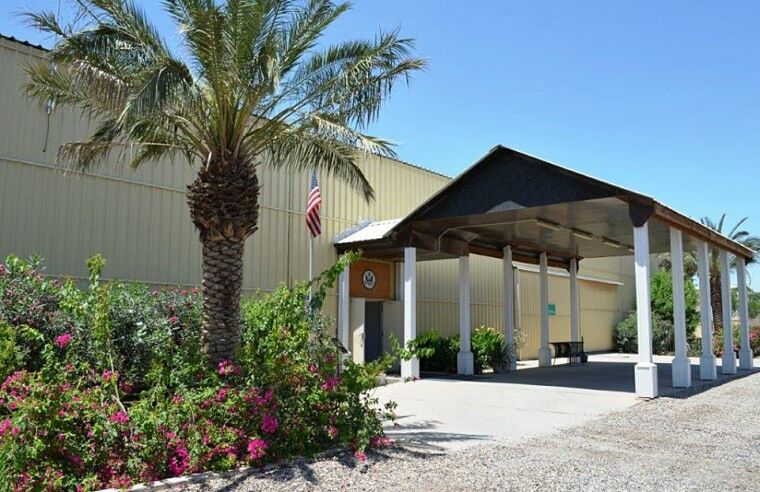 The department cited various incidents in the last 24 hours, including a "duck and cover" response at the American compound in Basra in reaction to nearby attacks. "We are closely following reports of activity in Basra," a State Department spokesperson stated. The consulate in Basra was placed on "ordered departure" Friday, with Pompeo stating, "Given the increasing and specific threats and incitement to attack our personnel and facilities in Iraq, I have directed that an appropriate temporary relocation of diplomatic personnel in Iraq take place." Officials said the embassy in Baghdad will take over consular duties for Basra. The move follows saber rattling by Pompeo on Tuesday at a New York meeting of the organization United Against a Nuclear Iran. He blamed recent violence in Iraq on "proxies" supported, funded and trained by Iran. "Just a few weeks ago, Iranian-supported militias in Iraq launched life-threatening rocket attacks against the U.S. embassy compound in Baghdad and at the U.S. consulate in Basra," Pompeo said. "The United States will hold the regime in Tehran accountable for any attack that results in injury to our personnel or damage to our facilities," he said. At the same meeting, National Security Adviser John Bolton joined in the tough talk against Iran: "If you cross us, our allies, or our partners; if you harm our citizens; if you continue to lie, cheat, and deceive, yes, there will indeed be hell to pay," he said. After vowing to unravel President Barack Obama's Iran nuclear agreement, President Donald Trump in April reintroduced sanctions against Iran. Following the tensions in Basra, the State Department also reemphasized a travel advisory for Iraq that includes a no-go warning for Americans, adding "anti-U.S. sectarian militias may also threaten U.S. citizens and Western companies throughout Iraq." "U.S. citizens in Iraq are at high risk for violence and kidnapping," the warning states. "Numerous terrorist and insurgent groups are active in Iraq and regularly attack both Iraqi security forces and civilians."